Trump wasn’t just talking to a Foreign Minister. 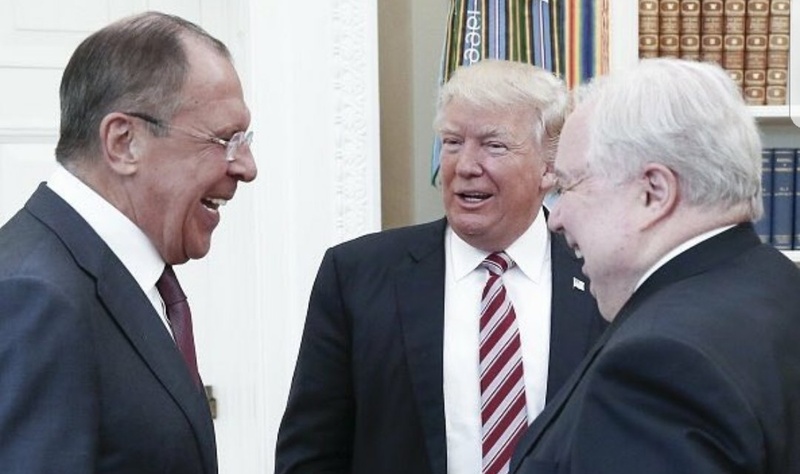 Lavrov is the only Foreign Minister to get this type of access to Trump since the inauguration — none of America’s allies have gotten this — and Sergei Kislyak is under investigation by the FBI. Trump just threw his own officials under the bus, going on Twitter and reversing the White House denials that he gave information to the Russians. Trump is not reliable enough or shrewd enough to be President. He gave information about a sensitive operation to infiltrate the Islamic State inside Syria to the Russian Foreign Minister and the Russian Ambassador.